I attended an estate sale on Saturday in the Foxhill section of Hampton. Foxhill is an old section of town near Grandview beach. The sale was run by the woman that grew up in this little house. Her parents were both now passed and she was finally ready to let their belongings go and move forward. She said her momma saved everything and included in the sale were a bunch of sweet little girls dresses. Dresses that had belonged to this woman. 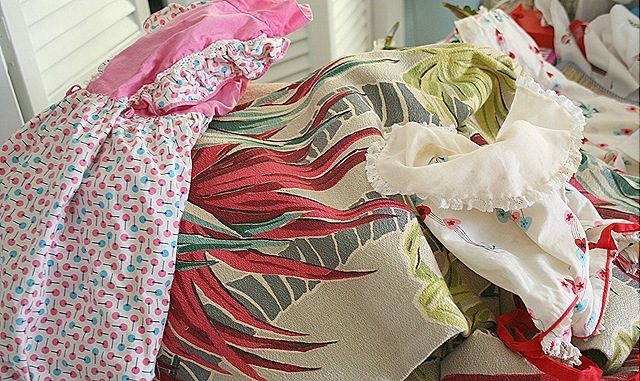 I was really smitten with the little dresses, the fabrics were just adorable. I also acquired a huge stack of 6 barkcloth curtain panels. The woman said they hung in the house in the 50's and she was thrilled that I was going to take all these things and repurpose them. Something about this woman really struck a cord with me. So I took my treasures home and started getting them washed and freshened up. 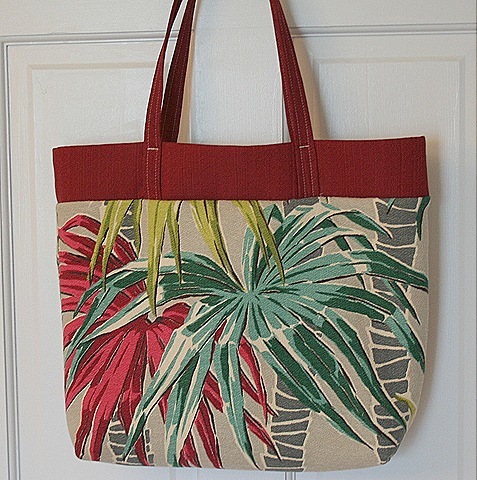 I jumped right in and created a tote bag from the barkcloth. 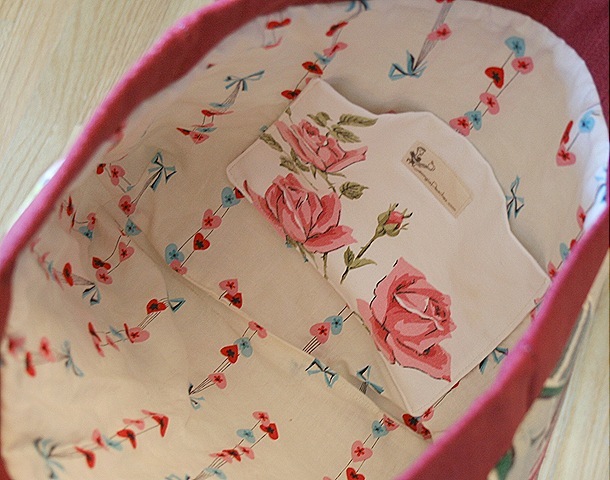 I lined the bag with the fabric from one of the little dresses.